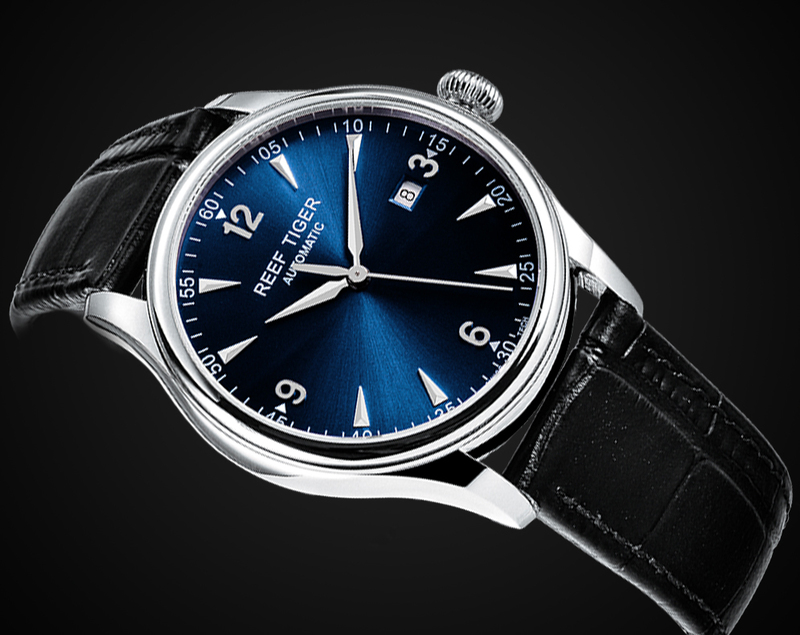 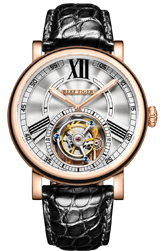 Creativity and quality have always been the eternal theme for mechanical watches. 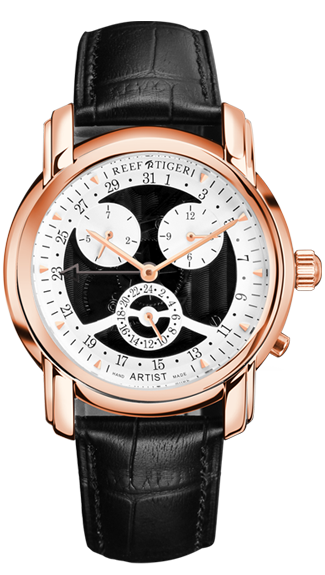 Reef Tiger Artistry watches using embossment, tourbillion and other advanced craftsmanship has created such spectacular and marvelous beauty of art simply on handful place of watch dial, which is exactly the heritage and tribute to the incomparable watchmaking spirit. 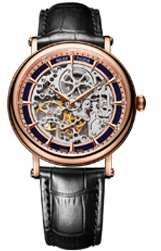 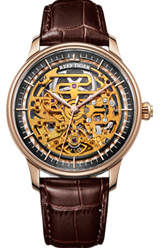 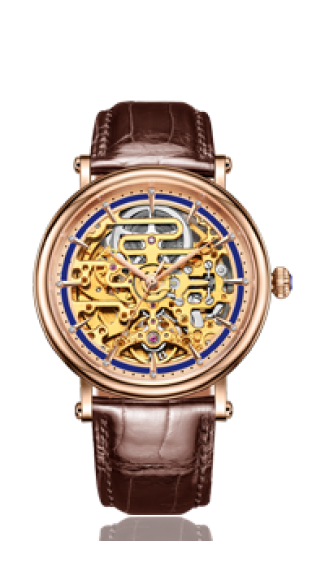 Artistry watches have broken the mould among the historical watchmaking industry, the alleged heart of watch- the balance wheel has been redesigned to be placed at 6 o’clock, usage of jewels and engraved plates even make the entire watch reveal a heavy feeling of artistic. 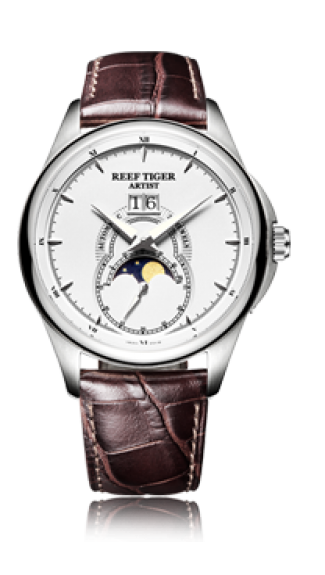 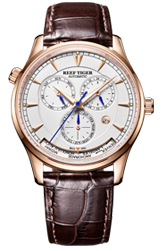 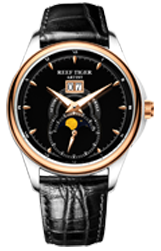 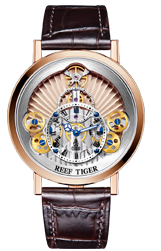 Especially the 155.276.248 watch can better reflect Reef Tiger’s extraordinary watchmaking craftsmanship. 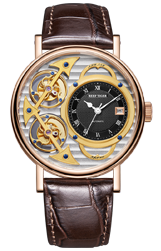 Dial calcined by the dark grey carbon, and particularly immited ingredients of diamond to make the fonts vivid and yet splendor, five little dolls are completely manually engraved by watchmakers, fixed on dial by an utilization of diamond mosaic technology, presented a grand battle scene on the small clue of the dial. 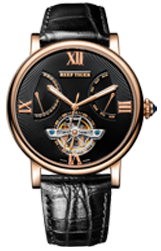 Each piece of watch is an unique work of art.